Gift cards make great gifts for all occasions! Call (603) 447-5092 to purchase. It’s time to book Spring and Fall now! • Offer can be extended any number of nights within the dates outlined below. • Second night must be on same site or cabin. • Discount applies only to base rate of site or cabin, all add-ons will be charged accordingly. • The promotion dates for 2019 are May 15, 2019 thru Sunday, June 16, 2019 and Tuesday, September 3, 2019 thru Monday, September 30, 2019. • May not be combined with any other coupon, discount or usage discount. 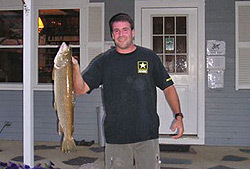 • Reservations must be booked and PAID IN FULL to receive half off of site or cabin. • Please note that pets are not allowed in cabins. 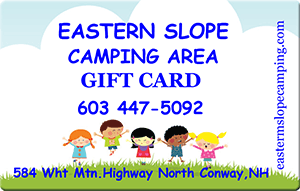 Eastern Slope Camping Area is the perfect family camping destination in the North Conway area, with the closest possible location to all of the region’s finest family attractions, restaurants, hiking & bicycling trails and tax-free outlet shopping. There is so much to see and do without spending your time driving. You can canoe or kayak right back to our beach, ride the scenic railroads and enjoy a special day at either Santa’s Village or Storyland theme parks. We are open from mid-May to early November. 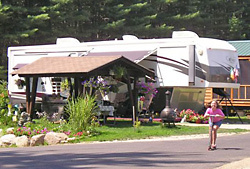 Situated right on the banks of the crystal clear Saco River, Eastern Slope Camping Area is the answer to all your vacation needs. 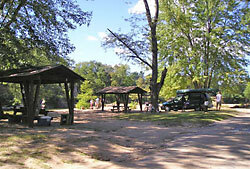 Eastern Slope Camping Area has been delighting families for nearly 60 years, with many third generation families still visiting now with their children and grandchildren! We are now taking reservations for 2019. Activities and events for 2019 are being prepared and we invite you to come join in the fun! 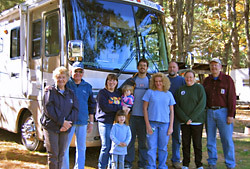 Our family campground now welcomes friendly and well-behaved dogs, so now the whole family can vacation together! Please browse our website for all the information you are looking for, or call us to make a reservation today! Welcome Canine Friends! 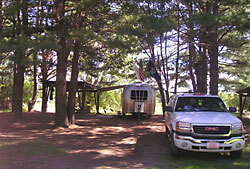 Eastern Slope Camping Area is now accepting pets for the entire season! 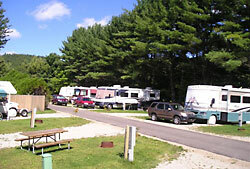 Policies and fees are similar to those of other campgrounds in the Mount Washington Valley. Click here for more information on pet boarding. Our pool is open from mid-June to mid-September from 9:00AM to 8:00PM daily (weather permitting). This child-friendly pool is 3.5 ft. to 4.5 ft. deep. 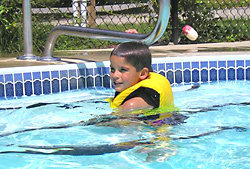 Children under the age of 14 must be accompanied in the pool area by an adult of 18 years or over at all times. Young children must wear appropriate swim diapers (available in the store). No diving, no running, and no alcohol or pets permitted. This fun-filled store is open from late June through Labor Day Weekend, daily. We do also open our store to campers over the Memorial Day and Columbus Day weekends as a courtesy, just in case there’s something you forgot! 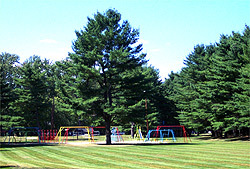 Right next to our store is the recreation hall; it hosts most campground activities and events, including indoor crafts, karaoke, ice cream socials, hayrides, and provides shelter from the rain. It also has a wide screen TV, video games, and toy vending machines. 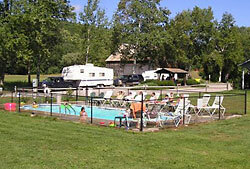 We have three bathhouses, located in convenient locations throughout the campground. All bathhouses have been recently renovated and, as always, include free hot showers!